Prior to the twentieth century, G. K. Chesterton expressed sympathy for Jews and hostility towards antisemitism. He was agitated by Russian pogroms and felt sympathy for Captain Dreyfus. However, early into the twentieth century, he started to fear the presence of Jews in Christian society. He started to argue that it was the Jews who oppressed the Russians rather than the Russians who oppressed the Jews, and he suggested that Dreyfus was not as innocent as the English newspapers claimed (click link for more on Chesterton and Dreyfus). His caricatures of Jews were often that of grotesque creatures dressed up as English people. His fictional and his non-fictional works repeated antisemitic stereotypes of Jewish greed, usury, capitalism, bolshevism, cowardice, disloyalty and secrecy (each of these stereotypes are examined in detail in my recent book, Chesterton’s Jews). In this report, I will briefly examine Chesterton’s stereotype of the greedy usurious Jew. It has been argued by a number of Chesterton’s defenders that if Chesterton did harbour ill will towards Jews, then it was only to particular Jews (such as Rufus and Godfrey Isaacs), that it was only subsequent to the notorious Marconi affair, and that it faded after a few years. Chesterton’s stereotyping of the greedy usurious Jew did not in fact revolve around the Marconi Affair and was not confined to particular individuals. His antisemitic stereotype of the greedy Jew can be partly traced to his idealisation of the Middle Ages and his critique of modernity. Chesterton traced many of the problems of modernity back to the Reformation, which he suggested tore Europe apart faster than the Catholic Church could hold it together . He was romantically attracted to the Middle Ages, which he imagined to be a relatively well-ordered period in history, with happy peasants, Christianity as a healthy part of every-day life, and the trades managed equitably and protected by the Church and the guild system. The medieval guilds, he suggested, prevented usury from disrupting the balance of society and destroying the livelihood of the peasantry. The usurers and plutocrats that Chesterton had in mind were Jewish. In his A Short History of England, published in 1917, Chesterton implied that the Jews were not as badly treated in the Middle Ages as often portrayed, though they were sometimes handed over to “the fury of the poor,” whom they had supposedly ruined with their usury . In order to obtain the vast sums demanded by King John in the early thirteenth century, Jews were arrested, property seized, some Jews were hanged, and one Jew had several teeth removed to persuade him to pay the sums demanded. Even poor Jews had to pay a tax or leave the kingdom . However, according to Chesterton, the idea that Jews were compelled to hand over money to King John or have their teeth pulled was a fabrication: “a story against King John” rather than about him. He suggested that the story was “probably doubtful” and the measure, if it was enacted, was “exceptional.” The Christian and the Jew, he claimed, had “at least equal reason” to view each other as the ruthless oppressor. “The Jews in the Middle Ages,” he asserted, were “powerful,” “unpopular,” “the capitalists of the age” and “the men with wealth banked ready for use” . Chesterton repeated a similar narrative about King John (and Richard Lion-Heart) in his newspaper, the G.K.’s Weekly: “John Lackland, as much as Richard Lion-Heart, would have felt that to be in an inferior and dependent position towards Isaac of York for ever was utterly intolerable. A Christian king can borrow of the Jews; but not settle down to an everlasting compromise, by which the Jews are content to live on his interest and he is content to live on their clemency” . According to Chesterton, “medieval heresy-hunts spared Jews more and not less than Christians” . A reoccurring hero in many of Chesterton’s short stories was Father Brown. Dale Ahlquist (2003), one of Chesterton’s staunch defenders, observes that Father Brown and Chesterton share the same “moral reasoning” . This would seem to be confirmed in “The Curse of the Golden Cross” (1926). In this story, Father Brown, like Chesterton, argued that it was a myth that Jews were persecuted in the Middle Ages: “‘It would be nearer the truth,’ said Father Brown, ‘to say they were the only people who weren’t persecuted in the Middle Ages. If you want to satirize medievalism, you could make a good case by saying that some poor Christian might be burned alive for making a mistake about the Homoousion, while a rich Jew might walk down the street openly sneering at Christ and the Mother of God’” . In The New Jerusalem (1920), Chesterton again argued that Jews were inclined to usurious practices. It was not just the Jews that he caricatured. He also repeated stereotypes about gypsy pilfering and kidnapping (click link for more on Chesterton and the stereotype of the child-kidnapping gypsy). He suggested that a comparison may be made between “Gipsey pilfering”  and “Jewish usury.” Both “races,” he observed, “are in different ways landless, and therefore in different ways lawless.” Chesterton referred to the pilfering of chickens by gypsies, and the kidnapping of children, which he correlated to Jewish usury and fencing. He outlined his case as follows: “It is unreasonable for a Jew to complain that Shakespeare makes Shylock and not Antonio the ruthless money-lender; or that Dickens makes Fagin and not Sikes the receiver of stolen goods. It is as if a Gipsey were to complain when a novelist describes a child as stolen by the Gipseys, and not by the curate or the mothers’ meeting. It is to complain of facts and probabilities.” He concluded that “there may be good Gipseys” and “good qualities which specially belong to them as Gipseys.” “Students of the strange race,” he observed, have even “praised a certain dignity and self respect among the women of the Romany. But no student ever praised them for an exaggerated respect for private property, and the whole argument about Gipsey theft can be roughly repeated about Hebrew usury” . The problem of the wandering Jewish financier, Chesterton suggested, was not confined to Europe. He argued in G.K.’s Weekly that America was the new pied a terre of the international Jewish financier, and that it was for the sake of such Jews that Britain has “clung to the American skirts” . The stereotype of the greedy plutocratic Jew can also be found in Chesterton’s short stories and novels. For example, at the conclusion of “The Bottomless Well,” Horne Fisher, the detective protagonist of the story, engages in a diatribe against the Jews. “It’s bad enough,” he observed, “that a gang of infernal Jews should plant us here, where there’s no earthly English interest to serve, and all hell beating up against us, simply because Nosey Zimmern has lent money to half the Cabinet.” He went on to state: “But if you think I am going to let the Union Jack go down and down eternally like the Bottomless Well, down into the blackness of the Bottomless Pit, down in defeat and derision amid the jeers of the very Jews who have sucked us dry – no, I won’t, and that’s flat; not if the Chancellor were blackmailed by twenty millionaires with their gutter rags, not if the Prime Minister married twenty Yankee Jewesses” . Another story, “The Five of Swords,” revolves around cowardly Jewish moneylenders who ruin and murder their victims . One question that may be asked is what led Chesterton to embrace this and other antisemitic stereotypes. One possible answer is that his closest friend, Hilaire Belloc, convinced him of their veracity. Chesterton and Belloc met in 1900. By 1904, Chesterton was working with Belloc on his novel Emmanuel Burden (providing Belloc with a number of sketches for the characters in his novel, including the main antagonist, I. Z. Barnett, who is portrayed as a greedy, manipulative and fraudulent German Jew). In this novel, Barnett formulated a project, the “African M’Korio” scheme, which involved the manipulation of the stock market, the exploitation of Africa, and the destruction of Emmanuel Burden, a naïve but honest British merchant. It was not just in his fiction that Belloc constructed his image of exploitive Jews in Africa. 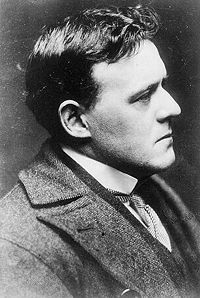 In a letter to Chesterton in 1906, Belloc stated that he was “now out against all Vermin: notably South African Jews”. 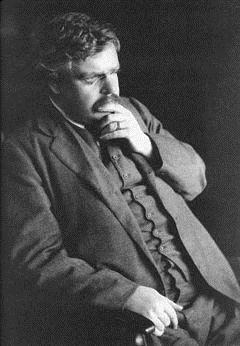 Significantly, it was around this time that Chesterton started to stereotype Jews in his own fiction – the earliest example being the cowardly and secretive Jewish shopkeeper in The Ball and the Cross, which was first published as a feuilleton in the Commonwealth in 1905/6. .
Another stereotype of “the Jew” that was prominent in Chesterton’s discourse (and shared by Belloc) was the Jewish Bolshevik. Chesterton often closely linked this stereotype to that of Jewish bankers, usurers and capitalists. He maintained that the rich Jewish capitalists and poor Jewish Bolsheviks were merely the other side of, if not closely associated and allied with, each other. He argued that “Big Business and Bolshevism are only rivals in the sense of making rival efforts to do the same thing; and they are more and more even doing it in the same way. I am not surprised that the cleverest men doing it in both cases are Jews.” According to Chesterton, the “whole point” of the New Witness was to maintain that “Capitalism and Collectivism are not contrary things. It is clearer every day that they are two forms of the same thing” . The stereotype of the Jewish Bolshevik, which was almost as pervasive in Chesterton’s discourse as that of the greedy usurious Jew, will be examined in my next report on Chesterton (click here for link to G. K. Chesterton and the Stereotype of “the Jewish Bolshevik”). 1. G. K. Chesterton, What’s Wrong with the World (Leipzig: Bernhard Tauchnitz, 1910), 42. 2. G. K. Chesterton, A Short History of England (London: Chatto & Windus, 1917), 108-109. 3. Anthony Julius, Trials of the Diaspora: A History of Anti-Semitism in England (Oxford: Oxford University Press, 2010), 118-119, 643 fn.82-84. 4. G. K. Chesterton, A Short History of England (London: Chatto & Windus, 1917), 108-109. 5. G. K. Chesterton, “The Neglect of Nobility,” Straws in the Wind, G.K.’s Weekly, 4 August 1928, 327. 6. G. K. Chesterton, Autobiography (London: Hutchinson, 1936), 76. 7. Dale Ahlquist, G. K. Chesterton: The Apostle of Common Sense (San Francisco: Ignatius Press, 2003), 166. 8. G. K. Chesterton, “The Curse of the Golden Cross,” in G. K. Chesterton, The Complete Father Brown Stories (London: Wordsworth Classics, 2006), 432. This short story was originally published in 1926. 9. The strange spelling of Gipsey is Chesterton’s. The spelling has been changed in some later editions of The New Jerusalem. 10. G. K. Chesterton, The New Jerusalem (London: Thomas Nelson, ), 232. An editorial in G.K.’s Weekly repeated the same stereotypes linking the so-called child-kidnapping gypsy with the usurious Jew. See G.K.’s Weekly, 2 May 1925, 126. 11. G. K. Chesterton, “Exodus from Europe,” Straws in the Wind, G.K.’s Weekly, 28 December 1929, 247. 12. G. K. Chesterton, “The Bottomless Well,” in G. K. Chesterton, The Man Who Knew Too Much and Other Stories (London: Cassell, 1922), 73. 13. G. K. Chesterton, “The Five of Swords,” in G. K. Chesterton, The Man Who Knew Too Much and Other Stories (London: Cassell, 1922), 255-282. 14. See Hilaire Belloc, Emmanuel Burden (London: Methuen, 1904); Letter from Hilaire Belloc to G. K. Chesterton, February 1906, ADD MS 73190, fol. 14, G. K. Chesterton Papers, British Library Manuscripts, London; G. K. Chesterton, “The Ball and the Cross,” Commonwealth: vol. 10, no. 3-12 (1905), and vol. 11, no. 1, 2, 4, 6, 11 (1906). 15. G. K. Chesterton, “Rothschild and the Roundabouts,” At the Sign of the World’s End, New Witness, 17 November 1922, 309-310. By Simon in Antisemitism, G. K. Chesterton on December 9, 2013 .